‘Tis the season to be thinking of what to give your romantic partner for the holidays. For those with a man in their life, this can be a challenge. 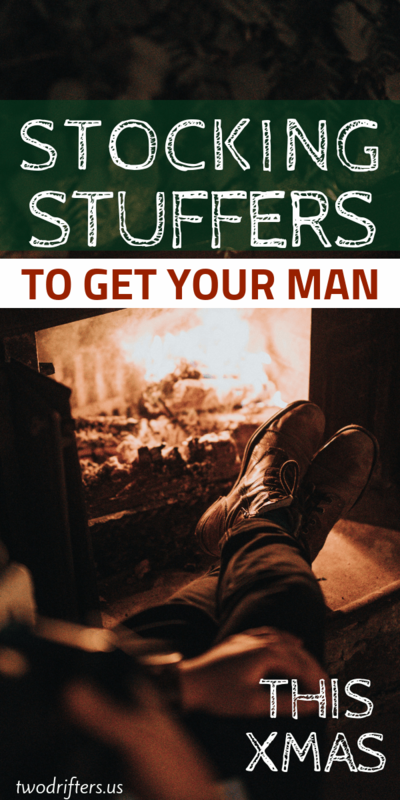 Here we present a range of romantic, useful, or just plain fun items: the perfect stocking stuffers for your husband or boyfriend to use, play with, or chow down on! Be prepared for anything! The Swiss army knife and its many variants do everything from filing nails to opening wine to cutting whatever needs cutting. With it, your partner will be ready for adventures at home and abroad. The ultimate in preparedness right here! A knife, a firestarter, a flashlight… Everything a guy could want in one little survival kit. Literally look no further for stocking stuffers for men. For those who like their gear in compact form, this credit card-sized survival tool offers a range of functions that fits right in a wallet. Your man need never be without a bottle opener again! How about a personalized piece of survival gear? Get your man’s initials set in an engraved pocket knife. Give the gift of cleanliness with this set of Burt’s Bees products just for men! He will be proud of his newfound hygiene, and so will you! Speaking of hygiene, the bearded gentleman can always use some extra help keeping his facial hair in order. This beard grooming kit is just the thing to whip his beard into shape and keep it clean. For those who like to keep it simple, there is this beautiful wooden comb. Have it personalized for your partner and put it snugly in his stocking! For advanced students of personal grooming, this nail care kit contains all a guy could wish for. They’ve even squeezed in a shoehorn and travel toothbrush! Perfect for the travel-lover in your life, this globe-themed whiskey decanter is a beautiful vessel in which to store his favorite whiskey. He can have a drink and dream of his past and future travels! Appropriately labeled “World’s Coolest Husband,” these beer chillers will keep his end-of-day bottled beverage cold. How cool is that? The perfect ending to any day, good or bad, this whiskey glass will let your man rate his day based on the amount of comfort needs. Remind him to drink responsibly. In the spirit of the beer chillers above, these taste- and odor-free whiskey stones will keep any drink cold. No more watering down of fine liquor when the ice melts! For a deeply personal touch, why not give the man in your life a personalized frame listing the reasons he’s a hero? Keeping this by his desk or dresser will remind him of your love each day. Let him know that your love is for always with this lovely wine tumbler. Its sweet messsage is perfect match for whatever’s inside. For a guy with a classic style sense, this shiny hanging watch is ideal. He can check the time and think of you all at once! The man with an adventurous appetite will love the opportunity to choose his own adventures with this hot sauce-making kit! Though it’s aimed at the outdoorsy type, who wouldn’t want this gift box‘s assortment of cookies, flavored crackers, and mixed nuts? With its wide assortment of goodies, it will keep your man munching for a long time to come. No more late-night struggle sessions to reach the toilet! With this toilet night light, he can do his business and not wake you up with a blinding ceiling light! Guys who like to stay in shape even during the colder parts of the year will appreciate the headphones on this beanie hat. The ability to listen to their favorite tunes and keep their head warm–what more could they want? Nothing like a good massage to ease the stress of the day. And with this portable massage pillow, your partner can relieve stress anywhere! With room for sunglasses, keys, and even a dock for his phone, this desk organizer is a great way for a busy man to keep his desk clutter-free. This quartz watch, with its dual design and leather strap, is handsome and sophisticated, just like your partner. Some accessories are worth wearing for looks alone! For the guy with a green thumb or who are open to a long-term project, growing a bonsai tree can be wonderful. These little trees are beautiful and give the grower something to be proud of! Nathan is one half of newlywed travel couple Two Drifters, and typically found behind the camera lens. However, he loves writing too, and works as a freelance editor when not focusing on crafting works of fiction. We're Amy & Nathan, two drifters, dreamers, and adventurers. We first met in a hostel in Scotland, and our lives have never been the same. 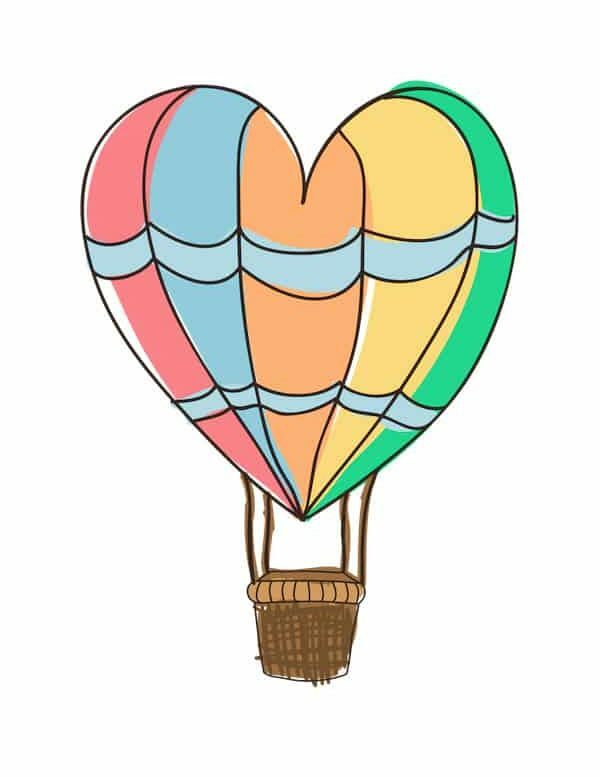 Two Drifters is the place where love meets adventure. Here we share our tips for better travel, more romantic adventures, and stronger, deeper relationships. We aim to be your #1 resource for romantic and couples travel. Come drift with us! @2019 - Moon River Media, LLC. All Rights Reserved.